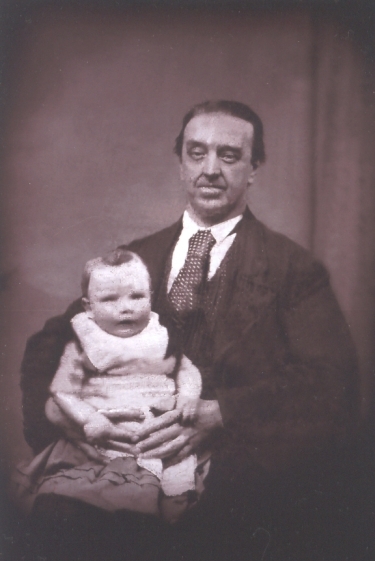 The man and child taken Xmas 1883 is of my Grand Father Alexander Mort in the arms of his Grand Father, who I have yet to trace. 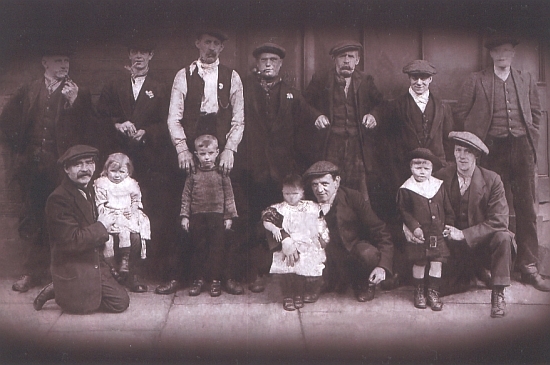 The group has my Father, the boy with the large white collar and my Great Grand Father on the back row 3 from the right looking at the photograph. 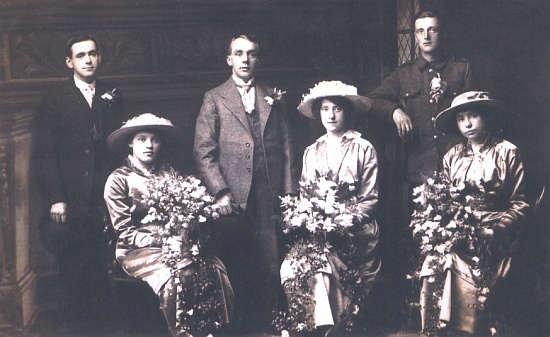 The wedding photograph shows a very young Alexander Mort in uniform. As he enlisted as a boy soldier and was in the army at the time of the 1901 census I would put the date as 1900-1903. The other five are not known to me but as the restoration work is very good someone may recognise them.